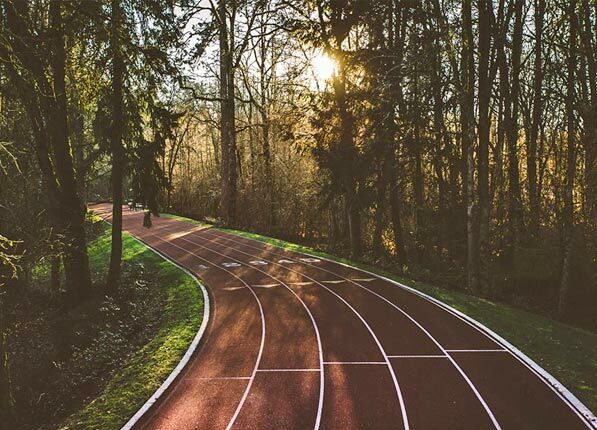 6 Coolest Running Tracks In The World | JustRunLah! We runners are different. We are a little crazy, but mostly just really passionate of our hobby. We have many weird bucket lists – like running the Walt Disney Marathon, or visiting cool running tracks around the world maybe? We came up with a list of Coolest Running Tracks around the world. The next time you happen to be in town, be sure to drop by – probably something only runners would appreciate. 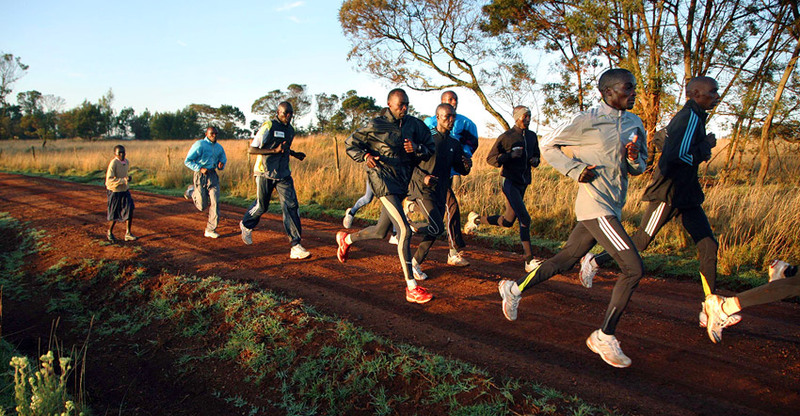 Everyone is no stranger to this beautiful track – possibly the most famous training track on the planet. It is a true unique sight as the track cuts through the woodlands but with the familiar rubber track under foot. It really is no surprise why Flanegan, Rupp and Farah love their playground! It is such a magnificent gem! 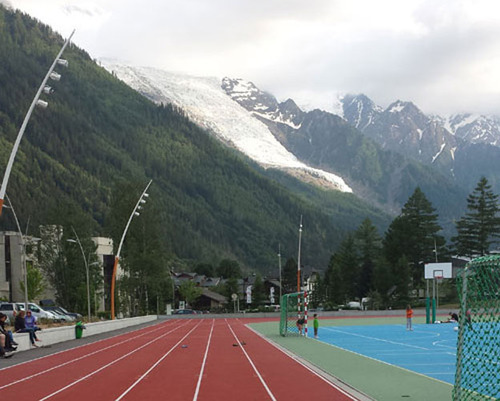 Speed work away against the background of iconic Mount Blanc. Run on the foothills of the stunning Mount Blanc. Let the amazing view take your breath away. Stare at stunning glaciers whilst running your laps. It will be an experience to boast about, with a view to shout about! With snow capped mountains, open bright blue skies and a bright blue track, this is probably as close as you can get to the feeling of running on water. It’s absolutely stunning! 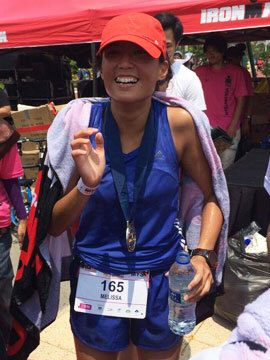 You will be so caught up with the beauty, running would probably feel effortless. A pretty cool initiative having a 300m running track suspended above. This is definitely something to boast about. 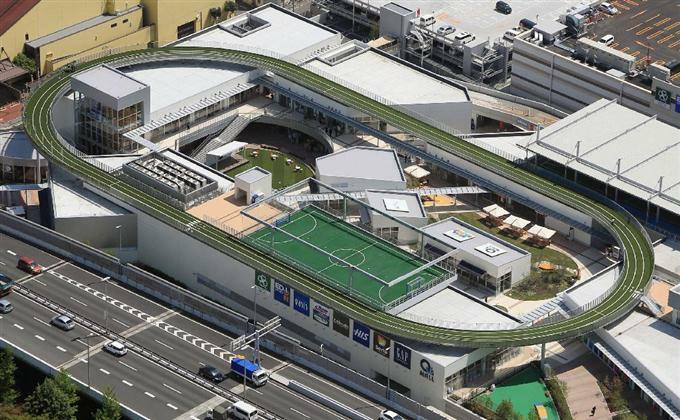 The next time you are in Osaka, don’t forget to give this track a visit. Yeah, it may not look much, but this is the track that produces champions. 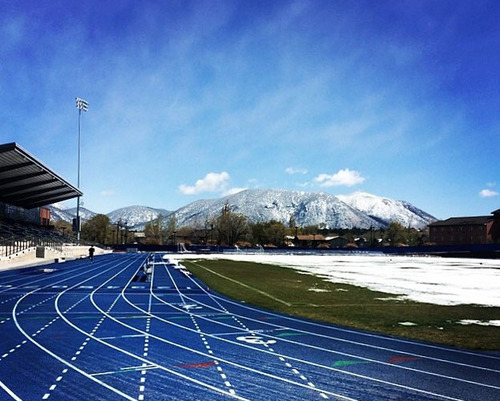 This is the track of Olympic Dreams. What and honour it would be. Looking to incorporate some hills into your workout? Track too flat for you? We’ve got an answer for you.